The soundtrack will be available the same day Season 2 debuts on Netflix. Friday, June 22 will be a big day for “Marvel’s Luke Cage” fans, as not only will the second season be released on Netflix, but the Season 2 soundtrack will be available as well. 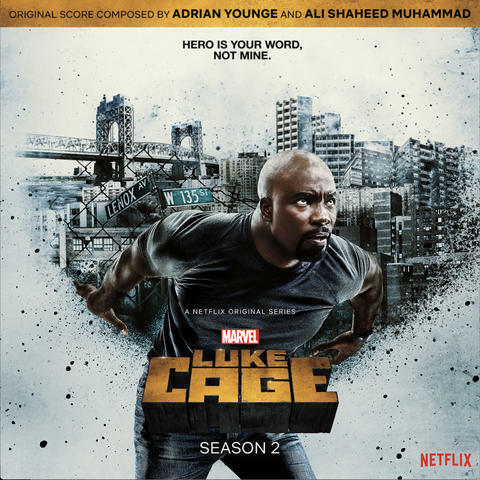 “Marvel’s Luke Cage” Season 2 Original Soundtrack Album features original score by returning composers Ali Shaheed Muhammad (A Tribe Called Quest) and Adrian Younge (Ghostface Killah, JAY-Z, Bilal, Souls of Mischief), who received critical acclaim for their Season 1 score. In addition to the score, the album also includes licensed tracks plus the song “King’s Paradise,” performed in an episode by Rakim, which was written by William Griffin, Younge and Muhammad. Also featured in an episode is R&B singer Joi performing “Love You Forever Right Now,” a song she co-wrote with Marlon Cox and Gabrielle Dennis (Tilda Johnson) performing “Family First,” a song co-written by Younge, Muhammad and Dennis, with vocals produced by “Marvel’s Luke Cage” showrunner/Executive Producer Cheo Hodari Coker. The soundtrack also includes two covers by teen blues guitarist Christone “Kingfish” Ingram, “I Put a Spell on You,” and “The Thrill is Gone.” All songs were composed and produced by Younge and Muhammad. Said Coker, “If Season 1 was about the hip-hop and the Wu-Tangification of the Marvel Universe, Season 2 is about the ROOTS of hip-hop: reggae and the blues. How both smashed up against each other to create the sonic backdrop of what we now know as hip-hop. The rhythmic stew of funk, rhythm and blues, soul, melded with the Jamaican ‘DJ’ tradition. Harlem's Paradise, which is tied to the family legacy of both Mariah Dillard Stokes and John ‘Bushmaster’ McGiver, is where the musical sensibilities of both clash. One of the secrets of the show is whoever looks down at the club from Cottonmouth's ‘perch’ controls the music of the club and has reign over Harlem. Coker continues, “The music selection and the sequencing is a labor of love, and is one of the most important things I do as showrunner of this show. I love the fact that all of musical sensibilities meld with our storytelling and dramatic desires as a writer's room, cast, and production crew. I get to be both John Wells and Quincy Jones." In Season 2 of the Netflix original series, Luke Cage (Mike Colter) has become a celebrity on the streets of Harlem with a reputation as bulletproof as his skin. But being so visible has only increased his need to protect the community and find the limits of who he can and can’t save. With the rise of a formidable new foe, Luke is forced to confront the fine line that separates a hero from a villain. “Marvel’s Luke Cage” is rated TV-MA and is streaming now only on Netflix. “Marvel’s Luke Cage” Season 2 Original Soundtrack Album will be available for download and at streaming services on June 22. You can see Luke Cage in action in “Marvel’s Luke Cage” Season 1 and “Marvel’s The Defenders,” now streaming on Netflix. 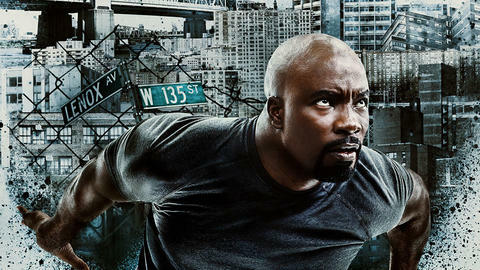 Follow @LukeCage on Twitter and like “Marvel’s Luke Cage” on Facebook for all the latest news and updates.